2016: Made 30 appearances for Republic FC in all competitions, including 22 USL appearances ... 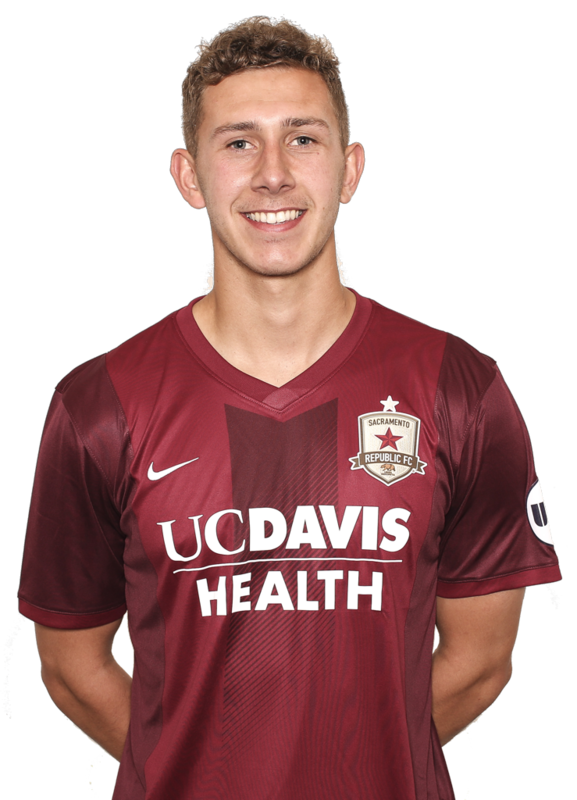 Scored five goals and added an assist, including four USL goals ... His four USL goals were the most in a season by a Republic FC player under the age of 23 ... Was tied for second-most USL goals with Mike da Fonte. 2015: Appeared in nine matches for Cheltenham Town …Was loaned to Farnborough FC for a second time … Appeared in 16 matches for Farnborough FC, scoring ten goals … Was loaned to Gloucester City AFC for a second time … Appeared in nine matches for Gloucester City AFC, scoring four goals. 2014: Was loaned to Evesham United FC at the beginning of the year … Appeared in 11 matches, scoring five goals … Loaned to Gloucester City AFC after returning from loan from Evesham United FC … Appeared in seven matches for Gloucester City AFC, scoring three goals … Was named Cheltenham young player of the year and was nominated for young sports personality of the year at Gloucestershire Media Sports. 2013: Joined the senior team at Cheltenham Town after joining the club’s youth academy at age 8 … Made his professional debut on October 22, 2013 … Appeared in five matches with Cheltenham Town … Was loaned to Farnborough FC … Appeared in one match for Farnborough FC. Parents are Chris and Wendy … Has five sisters, Charlie, Holly, Leah, Nicole, Abi … Enjoys relaxing and shopping in his free time … Has family that lives at Lake Tahoe … Rugby and horse racing are his favorite non-soccer sports … Started playing at Cheltenham Town when he was 8-years-old … Set a Cheltenham youth record with 38 goals in one season which earned him recognition as one of the top 11 football apprentices in the country.